A lot of our news in April focuses on running. 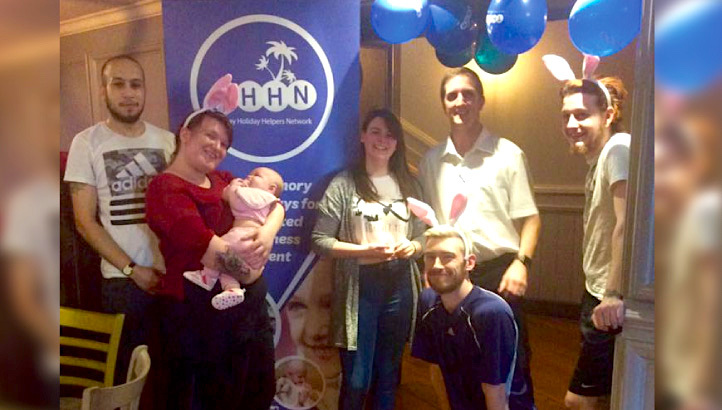 We have fundraisers running marathons and half marathons for THHN, and of course we have our very own Memory Maker Fun Run on 25 June and our City to Sea Marathon on 3 September. And we are continually touched and amazed by how active and resourceful our supporters are. Read about some of those amazing people below. They are THHN’s money makers and memory makers, creating the chance for families living with serious illness and bereavement, to enjoy a happy holiday. The first ever Pennywell Pursuit 10K Trail Race and 1-mile Fun Run took place on Sunday, 30 April. Starting and finishing at Pennywell Farm, Buckfastleigh and raising money for THHN, the event was a sell-out. Participants came away with a beautiful piggy medal, big smiles – and muddy feet, thanks to the wet conditions! A big thank you to Pennywell Farm for joining forces with THHN for this awesome evening. Thank you too to everyone who took part – the marshals, sponsors and THHN volunteers. You are all memory makers. On 6 April the staff of Yates, Torquay set themselves a steep challenge – climbing a set of stairs inside the bar over and over again until they had scaled the equivalent height of Mount Everest. And all in aid of THHN. The THHN team would like to say a massive thank you to all the staff and management of Yates for making more than 4,000 ascents of those stairs! April was marathon month for THHN. Mark Tucker ran the iconic London Marathon raising money for THHN and proudly wearing his THHN running vest for his first ever marathon. Meanwhile, the same day, Team THHN runners tackled the Plymouth Ocean City Half Marathon. Well done, all of you! September is very definitely marathon month too. This time it’s THHN’s own City to Sea Marathon on 3 September. And, remember, if you don’t fancy running it, you can walk the distance instead. The event starts at Exeter Riverside and finishes at Babbacombe Downs, Torquay, taking in riverside paths, country lanes, the famous sea wall at Dawlish and Teignmouth, woodlands, coastal paths, cliff tops and much much more on this fully signed and marshalled route. There will be two fully stocked checkpoints and two extra water stops this year. 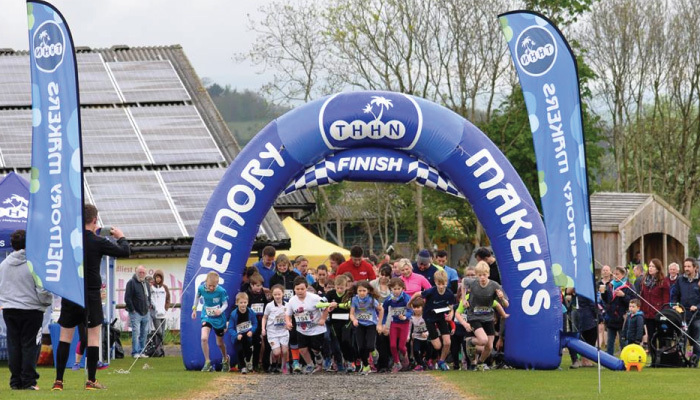 The fantastic THHN Memory Maker Fun Run is on Sunday, 25June. This 1-mile fun run is on closed roads around the first mile of the Torbay Half Marathon course, in front of all the spectators watching the Half Marathon. It is open to all ages and all participants receive a THHN Fun Run Medal. Entry is just £5 per person. Enter online at www.thhn.co.uk or on the day between 8am and 9am. All money raised from this event, sponsored by Pennywell Farm, will go towards THHN. 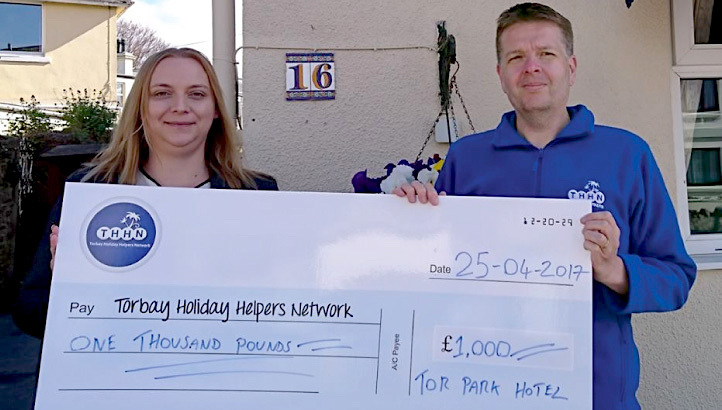 Tor Park Hotel general manager Aneta Edge came along to THHN recently and presented THHN fundraising manager Brian Lewis with a cheque for an amazing £1,000, raised through raffles at the Torquay hotel. Aneta has already helped THHN personally by taking part in the THHN City to Sea Marathon in 2016. She has already signed up to take part in this year’s event. April was a very busy month for memory-making holidays. THHN welcomed families to our Memory Maker Caravan, Hotel De La Mer, the Marine Hotel, Paignton and Pilgrims Rest Cottages, Torquay. We had some fantastic feedback from our guests, which really confirms for us that what THHN is doing is truly worthwhile. We really can’t thank everyone involved enough, from our volunteers and supporters, to our incredibly generous business supporters, including Teddy Mountain, Project Linus, Halletts the Bakers, Luscombes Butchers of Torquay, Riverford, D&H Fisheries of St Marychurch Precinct, Torquay, Kate Daisy Cakes and Claire’s Cakes, who regularly donate wonderful gifts and food hampers for the families to enjoy! 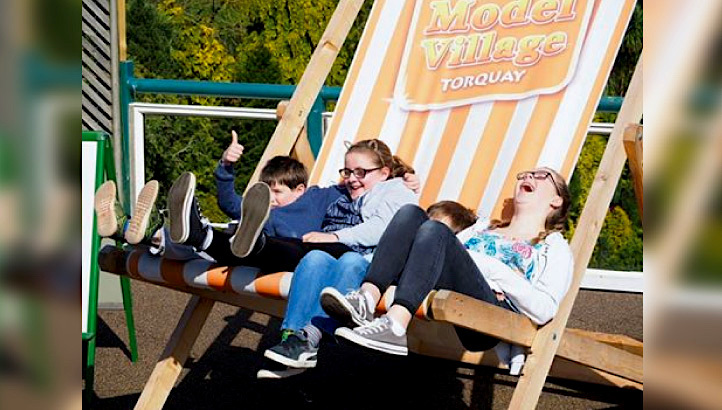 Thank you too to the many Torbay attractions who offer such fantastic treats to THHN families, among them Angel’s Tea Rooms, Vue Cinema, Cliff Tea Room, Buccaneers/Jungle Crazy Golf, Woodlands and the Royal at Babbacombe, which were all singled out by our guests last month.